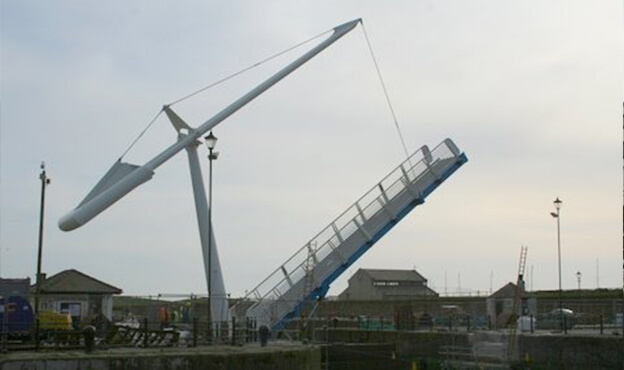 The design, construction and installation of a 39 tonne steel bascule lifting bridge spanning 20m across the mouth of Elizabeth Dock into Maryport Harbour. The bridge is based on a Dutch canal type bridge and is the only one of its kind in the UK at the time of installation. 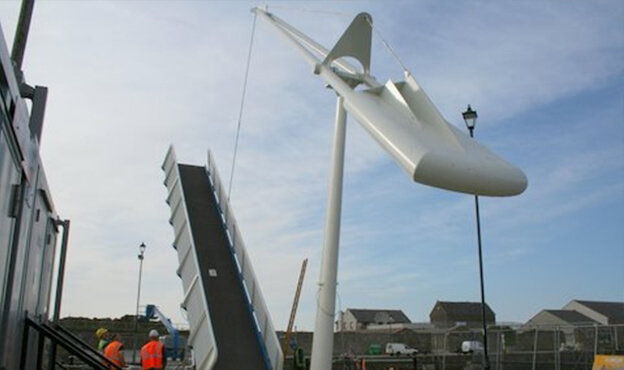 It is hydraulically operated with counterweight assistance and is controlled by a remote radio control from the Harbour Managers Office, approximately 600m away. 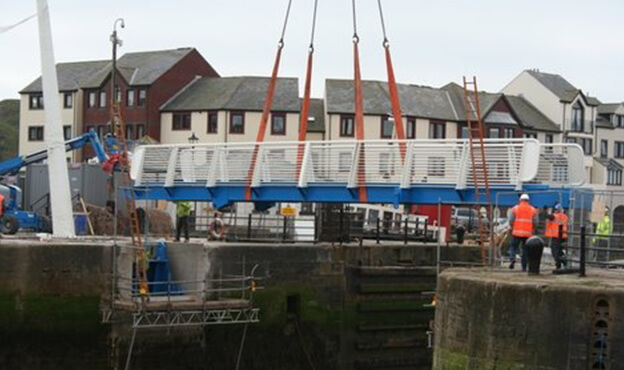 The purpose of the project was to design, construct and install a bridge across the mouth of Elizabeth Dock into Maryport Harbour providing pedestrian, wheelchair and cycle access from the town centre into the harbour complex. Based on a Dutch lift bridge design, Maryport Articulated Bridge is the only bridge of its kind in Britain at the time of construction. The bridge was installed as a replacement for a walkway over the top of the dock gates which was removed for safety reasons. The hydraulic lifting mechanism is operated by harbour staff from 600m away. CCTV cameras were installed for monitoring purposes, with flashing lights and a klaxon warning pedestrians when the bridge is due to be lifted. The erection of this bridge was considered vital in promoting the harbour as a tourist destination and developing the Maryport Cycle Network. Local school children were engaged to name the structure Ellenfoot Bridge, after Maryport’s original name, and hosted an event to officially opened the bridge to the public.